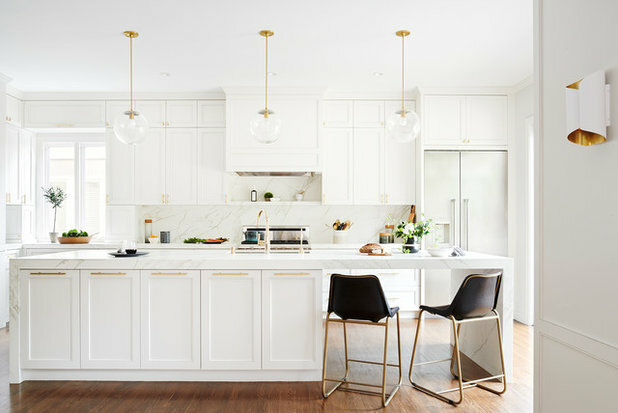 4 Awesome Kitchens That Will Make You Want Brass – Living Your Lifestyle & Owning It! Homeowners’ request. Update a dark 1970s kitchen to better reflect the traditional-style home but with a fresh point of view. Brass. 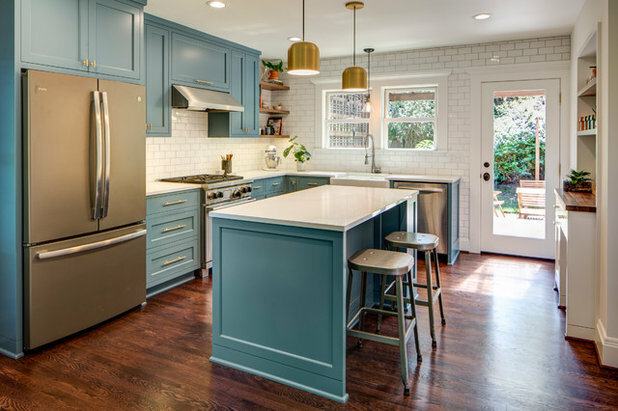 Brass pulls and pendants over the island bring warmth to the blue cabinets (Philipsburg Blue by Benjamin Moore). Other special features. Walnut wood shelves. Backsplash of handmade subway tile. Designer secret. 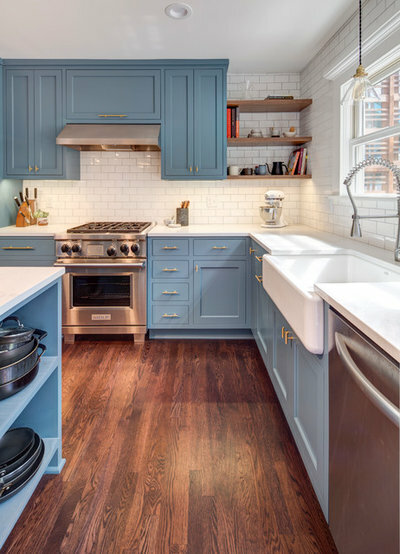 “Blue cabinets are more forgiving than white in terms of maintenance,” designer Charlotte Cooney says. Homeowners’ request. As much cabinet storage as possible, an attractive place for appliances, a workhorse island, plenty of light and a stellar view. Homeowners’ request. A big kitchen with plenty of light and storage, and that feels open to the living area and backyard deck. Brass. Brass pendant lights and cabinet hardware. 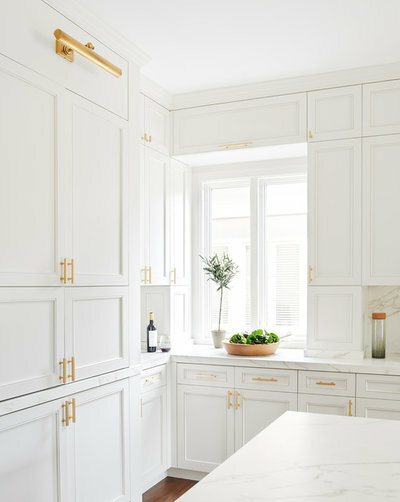 “We added brass in ways that would not be expensive to change if the homeowner wanted to adjust with future trends,” designer Amy Sullivan says. Other special features.Calacatta Gold marble backsplash. Salvaged-wood open shelves. A hidden office with file drawers, a coffee station, an appliance garage, storage for a mop and vacuum, and more. Homeowners’ request. A kitchen with a Los Angeles look. Brass. 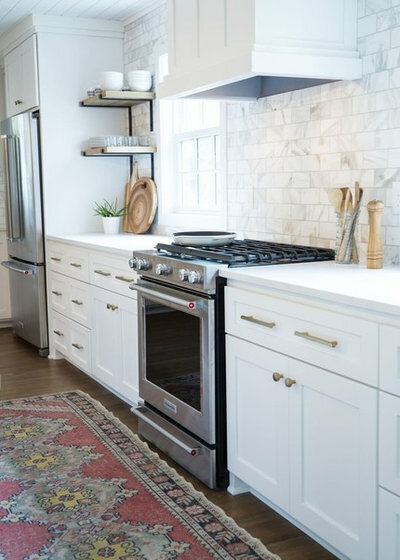 Golden hand-brushed metal cabinet hardware, accents and custom hood. 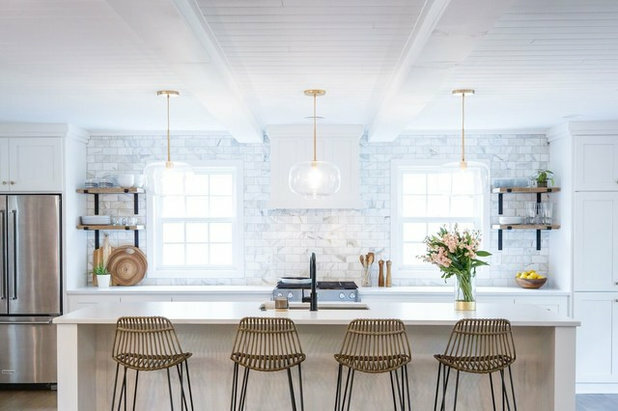 Brass pendant lights. Other special features. Raw chestnut wood shelves. Backsplash is large-format subway tile in a stacked pattern with dark grout. 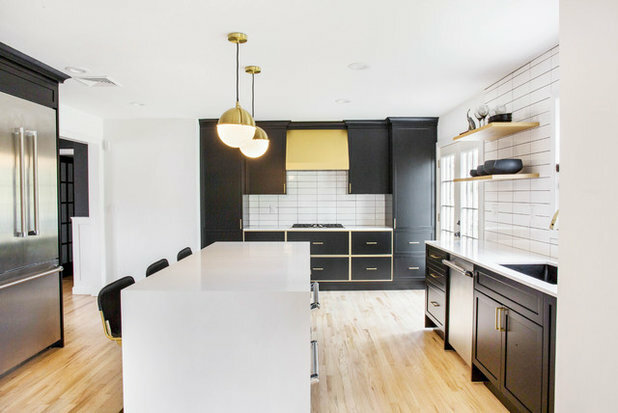 Black matte lacquered cabinets. 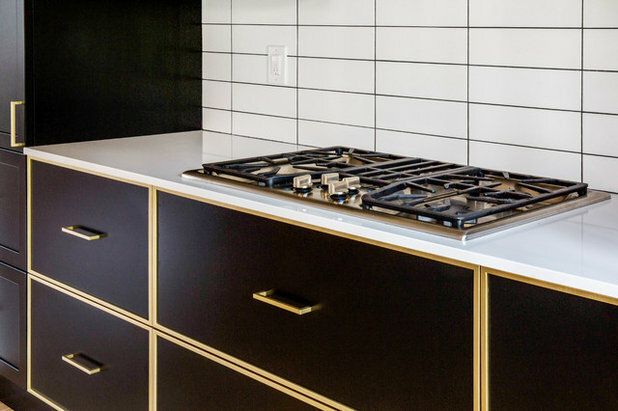 “The black lacquered matte with gold finish gives that L.A. vibe,” designer Federico Martin says. Previous Post Is Phased Retirement Right for You?